The UND Department of Theatre Arts will present Seussical, based on the works of Dr. Seuss. It will play at Burtness Theatre Nov. 8-10 and 16-17 at 7:30 p.m. nightly, with a 2 p.m. matinee Nov. 17. Now one of the most performed shows in America, Seussical is a fantastical, magical, musical extravaganza. The Cat in the Hat tells the story of Horton, an elephant who discovers a speck of dust that contains the Whos, including Jojo, a Who child sent off to military school for thinking too many “thinks.” Horton faces a double challenge: not only must he protect the Whos from a world of naysayers and dangers, but he must guard an abandoned egg left in his care by the irresponsible Mayzie La Bird. Although Horton faces ridicule, danger, kidnapping and a trial, the intrepid Gertrude McFuzz never loses faith in him. Ultimately, the powers of friendship, loyalty, family and community are challenged and emerge triumphant. Music is by Stephen Flaherty, lyrics by Lynn Ahrens, from the book by Stephen Flaherty and Lynn Ahrens. Co-conceived by Lynn Ahrens, Stephen Flaherty and Eric Idle. 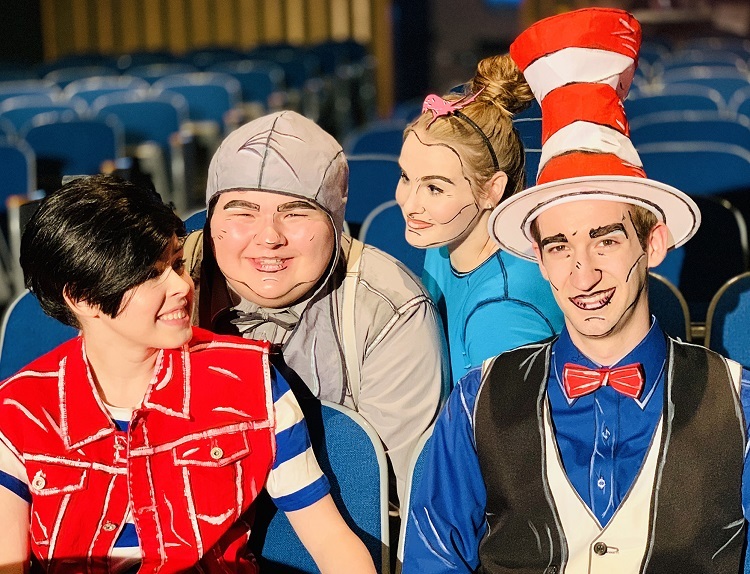 Based on the works of Dr. Seuss, this musical is fun for the whole family. And we have made it affordable for the family. With each adult ticket purchased you are eligible to purchase a child’s ticket for just $5. Tickets are $23 for adults and $13 for students; $5 for children under 12 with paid adult admission. They are available at the Burtness box office from 3-6 p.m. daily and 3-7:30 p.m. day of show. Call (701) 777-2587. The students, faculty and staff of UND Theatre Arts look forward to you joining us at Burtness Theatre.